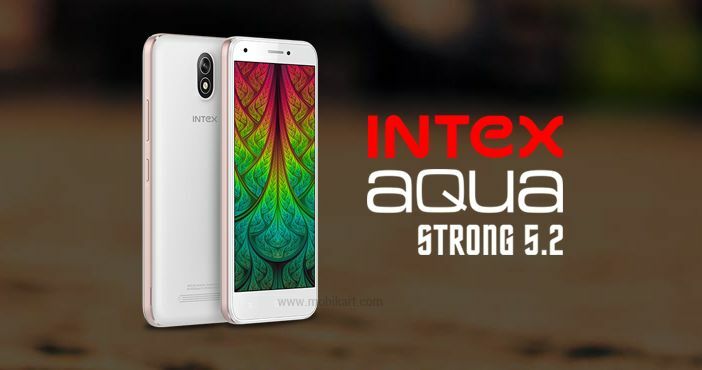 Intex has recently launched its Aqua Lion 4G smartphone in India and it has now released another 4G VoLTE mobile called as the Intex Aqua Strong 5.1+. The smartphone will be available in Black and Gold colour option for a price of Rs 5,490. The Intex Aqua Strong 5.1+ is the successor of last year’s Aqua Strong 5.1. While the Aqua Strong 5.1 comes with 4G LTE connectivity, the Aqua Strong 5.1+ offers 4G VoLTE. The phone offers a decent design. It has USB port and 3.5mm audio jack placed at the top side, while the volume rockers and power buttons are present on the right edge of the device. Coming to the specifications, the Intex Aqua Strong 5.1+ features a 5-inch GWCGA (480×854 pixels) display and runs on Android 6.0 Marshmallow OS. It is a dual-SIM mobile with a hybrid configuration of Micro + Micro/microSD card. The device is equipped with a 1.3GHz quad-core processor coupled with 1GB of RAM, 8GB of internal storage, and external storage of up to 64GB via microSD card. On the camera front, the Intex Aqua Strong 5.1+ offers a 5MP primary rear camera with f/2.8 aperture and flash support. For selfies, it has a 2MP front facing the camera. The device is powered by a 2000mAh battery which is claimed to deliver a talk time of up to 5 hours and 250 hours of standby time. The connectivity options include 4G VoLTE, FM Radio, EDGE, GPRS, Bluetooth, Wi-Fi and Wi-Fi Hotspot. The handset measures dimensions at 143.7×72.1×10.1mm and weighs 150.6 grammes. The Intex Aqua Strong 5.1+ comes with several value-added services like the MiFon Security (which is a 9-in-1 security suite which will help you find your smartphone in case of lost), game Play, VdioPlay and QR Code. To recollect, Intex has recently released Aqua Lions 4G smartphone in India which supports 4G VoLTE. The smartphone has a 5-inch display powered by a 1.3GHz quad-core processor paired with 1GB of RAM, 8GB of internal storage and up to 64GB of external storage via microSD card. For photography, it offers a 5MP rear and 2MP front facing the camera. The device is juiced by a 2000mAh battery.